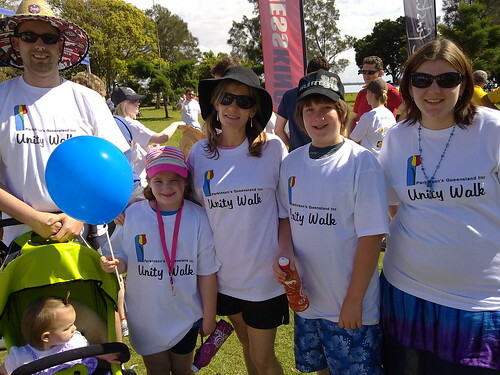 We have family and friends who suffer from Parkinson’s Disease, so Liz had a great idea and suggested our family take part in the “Parkinson’s Qld Unity Walk” to raise money for research into the disease. 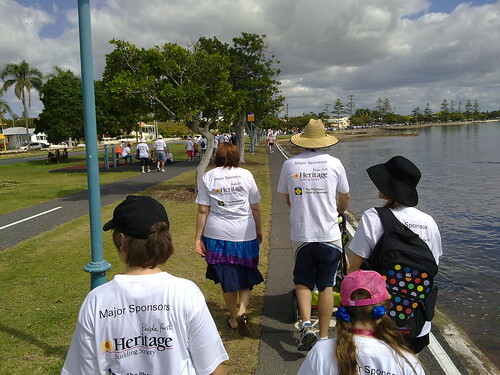 This involved seeking sponsorship from kind hearted donors, and walking 4km along the foreshore at Wynnum on a glorious Sunday morning. Of course, since yours truly sometimes (often?) 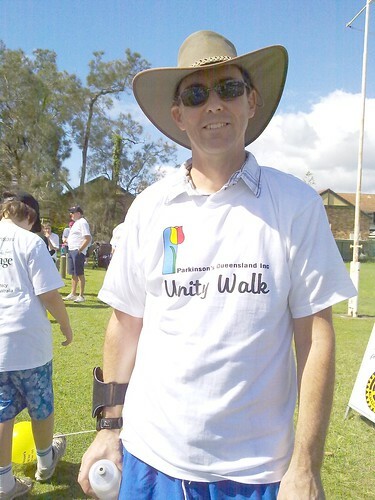 marches to the beat of a different drummer, I thought I’d make it a bit more interesting by first riding from Lawnton to Wynnum, then doing the walk, then riding home, which added another 97km to the journey but made it a bit more of a challenge. So Liz kindly agreed to drive the kids to Wynnum and meet me there. So we set off together along the waterfront with several hundred other like minded people, including a few walkers who were suffering from Parkinson’s disease themselves. On the way, we passed a fascinating line-up of colorful Volkswagen Beetles by the side of the road. All of them were immaculate with perfect paint jobs, sparkling chrome and proud owners not far away. And it seemed obvious to me – if you want to have fun, spend your time with passionate people. Whether they’re passionate about cars, or finding a cure for a disease, or just crazy / passionate about riding a bike somewhere, if you spend your time with people who have a flame burning in their heart for something, you can’t go wrong, and life is much more worthwhile. All up, I did about 103km for the day. It should have been a little less, but I got lost (twice) trying to find bicycle tracks between Eagle Farm and Clayfield – as you can see from the map…. “And it seemed obvious to me – if you want to have fun, spend your time with passionate people.